Apartment Building Plans Lagos Nigeria - Free Apartment Floor Plans. Free Tips. Apartment Building Plans Lagos Nigeria - Free Apartment Floor Plans. Free Tips To Optimize Cost. Apartment building plans Lagos Nigeria - Modern apartment floor plans in Lagos Nigeria are designed such that the home owner gets the most value from the space available, especially in areas where land is very expensive. 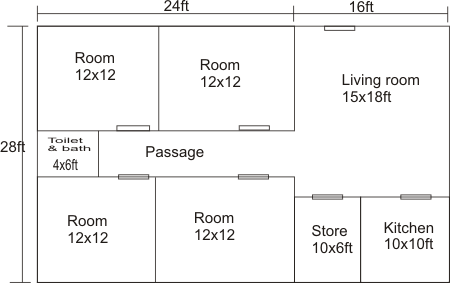 Another thing to note about apartment building plans is that the design of the first floor of the apartment floor plans are often replicated on all the floors except on, say, the penthouse which may be occupied by the home owner himself or designed to be occupied by premium apartment clients seeking luxury apartments. Luxury apartments tend to be more expensive and highly priced. Therefore, home owners targeting this clientele base can go to great lengths to make the penthouse stand out. The above observations about apartment building plans means that I only need to show you the design of the apartment floor plans for the first floor only because this design is replicated across all the floors. Wait. How many floors do apartment buildings usually have in Lagos Nigeria? You can have as many floors as you wish if the land you purchased is in an area where high rise buildings are allowed. For example, some estates only allow one storey buildings. Therefore you cannot go beyond two floors in those areas. But generally, the most popular apartment building types are 4 flats, 6 flats, and 8 flats on two, three, four floors respectively. To appreciate this discussion and apartment building plans that follow, let me first acquaint you with some concepts relating to apartment buildings in Lagos Nigeria. Real estate agents in Lagos, and now real estate clients, talk about ensuite apartments. 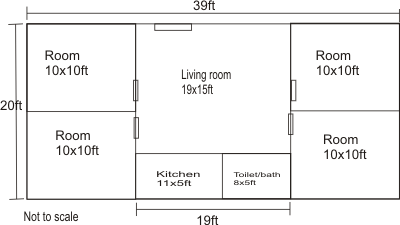 It simply means all bedrooms in the apartment have their own toilet and bathroom built in. On other occasions you will hear them talk about master bedroom. This term is used in relation to apartment building plans where only one bedroom have in-built toilet and bathroom (or dedicated toilet and bathroom) while the other rooms share a common toilet and bath. A third term you will hear every now and then with respect to apartment floor plans and duplex buildings is built-in boys quarters (BQ). This simply means the BQ is attached to the building and is not a separate building from the main house. Note that most regular apartments do not have built-in BQs. Often built-in BQs come with luxury apartments in Lagos Nigeria. Luxury apartments command a higher rent. Naturally, they get some extra pecks. And an ensuite built-in BQ is one of those extra pecks. Examine the apartment plans above and below and spot the difference. Each of these apartment floor plans occupy different land space and have different building costs. Examine these designs and make your choice keeping in mind the associated building costs vis a vis your budget. You can also modify them as you like to suit your taste. Contact Us if you need a building plan. 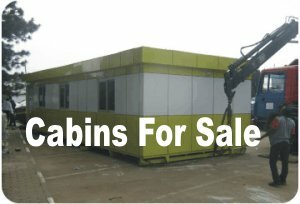 P.S: What does each building plan cost? Click HERE to find out. P.P.S: Please note that this is not legal advice. The decisions you make based on these designs are purely yours. Consult your home designer or architect before finalizing any building designs. Submit Free Apartment Building Plans. Share The Story Behind The Design. Are you an architect or home designer? Submit your free apartment building plans using the form below. Visitors who enjoy your design will call you for paid jobs sooner or later. 1. You can include a story in your submission. 2. Submit original stories and designs. The message you post here MUST be original and in your own words.